A BT complaint sent in today regarding incorrect bill charges for what BT classify as a ‘Timescale Apparatus Repair’. I am writing to express my disappointment at a charge of £274.88 + VAT you have made on my account on the 9th June 2009 for a “TimeScale Apparatus Repair”. I have just realised this from examining my online phone bill and have also spoken to one of your colleagues over the phone today to see whether this can be urgently reviewed as I am not at all happy. Unfortunately she advised me she was unable to review or adjust this charge and I am therefore writing to you to try and explain once again why I feel this charge should be urgently investigated. I contacted BT early in June to explain we were having problems with our telephone line and they advised us to check all of the equipment and lines coming out of our main BT box just inside our door that was originally installed by BT engineers. This we did and still there was an apparent fault and we advised BT of the situation. A BT engineer then called round and apparently found a fault in the cabling coming down into the house and into our main BT box. This section he duly repaired which took about 30 to 40 minutes and the phone line has been fine ever since. I was therefore extremely shocked and disappointed to see the charges that have been levied for this work by BT. I cannot see how I can be expected to meet the costs of this repair for a damaged connection into what is your main telephone socket? How would I be expected to make or receive calls otherwise? If it was found to have been a problem with cabling or equipment coming out of this main BT box then I would understand the charge and accept that I should meet the costs of any subsequent repairs. These facts were also made perfectly clear to me when I reported the fault and you also confirmed that if it was a problem with any aspects of the line coming into my main BT box then I would not be charged. On this basis I agreed to allow the engineer to visit and carry out the necessary repairs. To therefore receive this charge of over £300 (with VAT) is therefore very alarming and disappointing. Unless this can be reviewed with immediate effect and drastically reduced or waived/credited altogether then I will have no alternative but to cancel my contract with BT with immediate effect. I am sorry but I really do feel that strongly about the situation. I hope therefore that you will give this matter your earliest attention. Exactly same thing, Dead phone line, checked all my equipment nothing wrong, called BT and booked an engineer. Engineer comes inside the property and asked to check the phone and it was working. Next thing when I saw the bill it was shocking, BT charged £128 for repairing their fault. I have called cutomer services and engineering department and explained everything, but they are adament that I have to pay the amount. 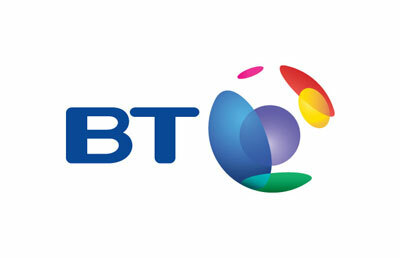 How disgrace BT's service, I have decided to move out from BT.